The first lunch meeting of the New Year 2013 at the Rotary Club of Queenstown was a full house again with fellow rotarians, visiting rotarians and friends greeting each other a very Happy New Year. PE Hans Jaeger reminded everyone of the upcoming major project. 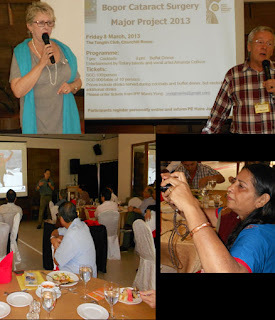 "Avoidable Blindess" The Bogor Cataract Surgery Project fund-raising dinner to be held on Friday 8 March 2013 at The Tanglin Club, Churchill Room. We also had visiting rotarians from Hawaii and India. 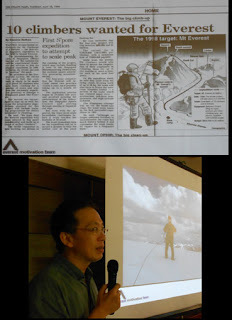 The guest speaker was David Lim, a talented mountain climber and motivational speaker.